November 28th is the day for all New Zealanders to stop and think about the importance of aviation safety. New Zealand’s largest aviation union, E tū is today commemorating two aviation tragedies which happened on the same day 29 years apart. 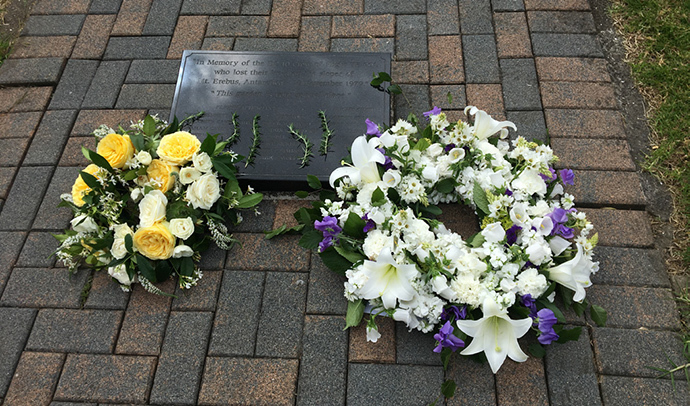 E tū aviation members and union representatives will attend the annual wreath-laying at the Erebus Crew Memorial garden at Auckland Airport this afternoon. There will be a minute’s silence at 1.49pm (12:49 NZST) – the time the crash occurred. E tū’s Head of Aviation, Savage says the memorial remembers the crew who died there including 15 cabin crew who never came home from work. Today is also the 10th anniversary of the crash involving an Air NZ A320 which crashed off the coast of Perpignan in France in 2008. Five New Zealand aviation workers died in that crash including Air New Zealand engineers Murray White, Michael Gyles and Noel Marsh. “Just as we honoured the memory of the men who died at Pike River, so we should remember the people who died in the Erebus tragedy and in the A320 crash,” says Savage. “Air disasters are a tragedy for everyone involved but we should never forget that they are also workplace accidents. “Our aviation industry connects us to the world. Our entire economy and the lives of workers and passengers alike is dependent on maintaining the highest possible aviation safety standards”.